Thu., June 8, 2017, 4:59 p.m. When you’re chasing a dream, keep your foot on the pedal. 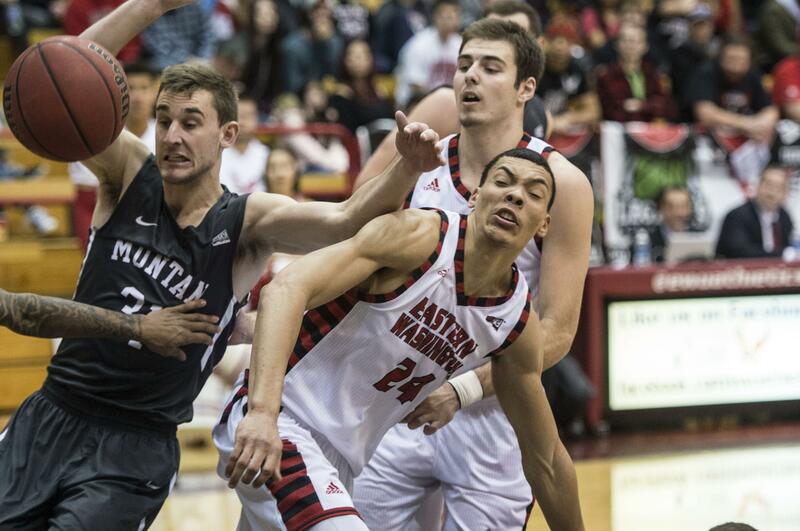 With the NBA Draft less than two weeks away, former Eastern Washington star Jacob Wiley is in overdrive. He worked out in Dallas on Tuesday, then flew the next day for a pro day in Manhattan. On Thursday he tried to impress the Brooklyn Nets, the 13th team to ask for a private audience. Next week, Wiley is off to Salt Lake City. Actually, Wiley is easing off the gas a bit. Two weeks ago, he worked out for four teams in five days. No matter his pace, Wiley appears to be gaining on his rivals. The most valuable player in the Big Sky Conference in his only season at Eastern, Wiley has become an intriguing prospect. That’s a big selling point in a league that prizes big men with range. Snow said that Dallas Mavericks coach Rick Carlisle judged that Wiley’s shot “wasn’t broken” and that he could be a “very good” 3-point shooter. Wiley, who played high school ball at Newport and collegiately at Montana and Lewis-Clark State before transferring to Eastern last year, said he’s trying to focus on the process instead of the goal. “I just can’t get ahead of myself, because if you do, those emotions can get too high,” Wiley said. Like it or not, those emotions will ramp up in two weeks. Like a politician, the 22-year-old Wiley will criss-cross the country in search of support ahead of the June 22 draft in New York. Some projections have Wiley going in the second round, though he’s likely to earn a free-agent contract and play in the summer league even if he isn’t drafted. Wiley and Snow will be at the draft. “There’s no way we’re going to miss the draft, no chance we’ll miss that moment,” Snow said. Published: June 8, 2017, 4:59 p.m.